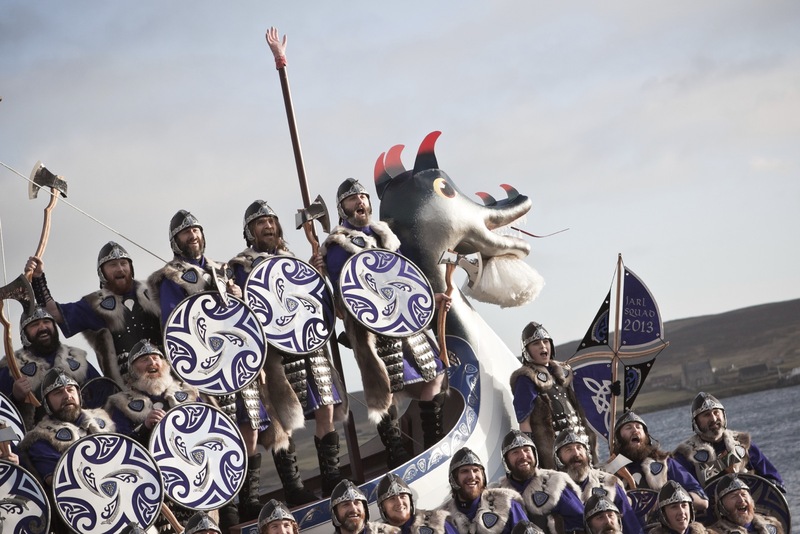 An intense bout of viking worship grips cold Lerwick, Scotland today as the centuries-old Up Helly Aa event rolled through the wet streets. But raiding and pillaging is so 9th century. This mighty band of viking warriors (decked out in furs, leather, and steel, natch) known as the Jarl Squad (led by Guizer Jarl) acts more as if to loosen Old Man Winter's merciless clutch over the region than to rob Lerwick's residents of its iPhones and gold medallions. 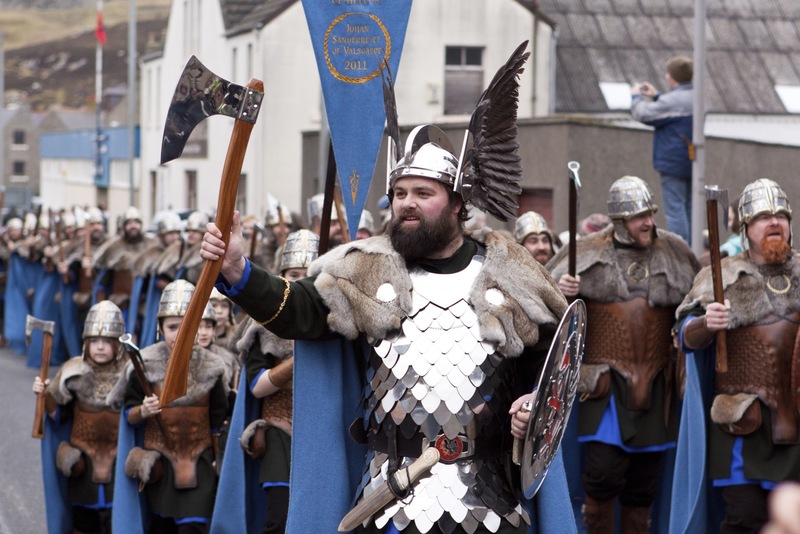 Bellowing war cries, beating drums, firing guns and wielding swords, these barrel-chested men and boys paraded before hundreds of residents and visitors who've come to witness the celebration for hundreds of years. 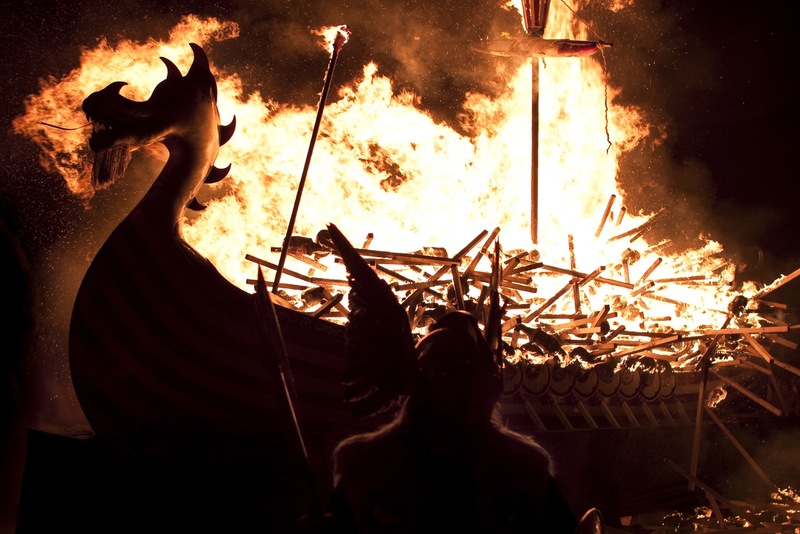 It all culminates in the epic burning of a massive, painstakingly constructed viking war boat lit afire by 1,000 torches – making it Europe's biggest fire festival. Of course, there are after-parties until dawn, replete with more costumes (sometimes transvestites!) and plenty of booze and testosterone. Think of it as a viking-style Burning Man that has to be seen to be believed. All photos by Andrew Shearer.